The Millerrite movement suffered what was dubbed the Great Disappointment when both dates in 1845 did not materialize with the return of Jesus. Many had sold all their belongings to wait for Jesus. Even William Miller had to admit he was wrong in his prediction and repented misleadings. (b) However a small group of the Millerrites, which included Ellen G White, refused to admit that they had been led astray. Instead they gravitated around Ellen G White, who had declared herself a prophetess, due to her visions, which conveniently excused the 1844 date by saying rather than returning, Jesus simply had entered the Heavenly Holy of Holies and had begun an "Investigative Judgment". Today there are the Seventh Day Adventist(SDA) based from California but several offshoots have separated from them claiming to be different or that the SDA church is apostasy or some even claiming Ellen G White to be false. However they all still cling onto Ellen G White's teachings concerning keeping the Sabbath for salvation, Investigative Judgment, the confusing dietary restrictions which is a strict vegan diet (no milks, eggs, or cheese allowed) but allows for pork, and others. 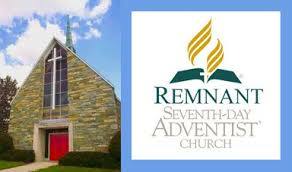 These are the Seventh Day Remnant(SDR)(most vocal these days), World's Last Chance(WLC), Berean Church of Free SDA, and the list grows by the day. A simple way to recognize any of them is if they demand Sabbath observance as the Mark of God, otherwise you aren't saved. c) The Great Controversy:White copied both words and pictures, Proof that Whites "I was shown" visions were even copied!, Proof White copied the pillars of SDA theology She didn't get it From God! 2) Do they teach that Jesus is God and that he died and rose again? While the Seventh Day Adventist(SDA) and the Seventh Day Remnant(SDR) do teach Jesus died and rose again, a dirty little secret they have is that the Jesus they believe in is really Michael the Archangel. While this might appear to be a minor issue, it actually is a big issue because that makes Jesus not divine and therefore his death is not sufficient to fully save anyone. Jesus always claimed to be God in all the gospels yet they based this one doctrine solely on one verse Jude 1:9 and Ellen G White's opinion that no one but Jesus could face off against the devil. Yet Michael the archangel, when contending with the devil he disputed about the body of Moses, durst not bring against him a railing accusation, but said, TheLord rebuke thee. Another secret of the White's estate in California, is that while Ellen G White was telling everyone to not eat meat, she was having chickens prepared for her meals. Also demanding 10% tithing and buying her many books at high prices for the time period made her extraordinarily rich. Only false prophets ever sell their prophecies for money. For the love of money is the root of all evil: which while some coveted after,they have erred from the faith, and pierced themselves through with many sorrows. 5) Are they speaking of things God has proclaimed not to be known by anyone? "Soon we heard the voice of God like many waters which gave us the day and hour of Jesus coming...When God spoke the time, He poured upon us the Holy Spirit" (Vol. 1 p. 59). Here Mrs.White like hundreds date setters to claim to know the day and hour of Jesus return. This flies in direct violation to the Bible proclaiming that it is not to be known by neither man nor angels. No true prophet would be so blatant to go against God's own words. The SDA have gone as far to quote Ellen G Whites writings over the Bible and have now come out with a new Bible(Clear Word Version) which rewrites myriads of verses that did not back up their Sabbath claims. By far the biggest defining point of SDA and SDR is their observance of the Jewish seventh day Sabbath(Shabat), which is still insisted upon by practicing Jews in Israel today. 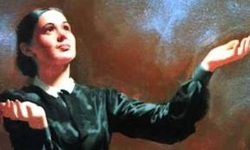 Ellen G White insisted that Sabbath observance was necessary to stay saved. EGW: In these things I saw great danger; for if the mind is filled with other things, present truth is shut out, and there is no place in our foreheads for the seal of the living God. This seal is the Sabbath. To Those who are receiving the seal of the living God. —January 31, 1849, paragraph 11. EGW: "Those who would have the seal of God in their foreheads must keep the Sabbath of the fourth commandment." —7BC 970 (1899). Unfortunately she missed these following verses that state plainly who the Seal of God really is. No true prophet would have made this mistake. To understand the how Sabbath was a shadow of Christian's rest from striving in the completed work of Christ, one must understand that belief in Christ atoning death on the cross is completely sufficient to cover ALL our sins(past, present, and future). That is our TRUE sabbath rest. Here too Ellen G.White falls badly. For a complete list of her failed prophecies refer to Prophecy blunders of Ellen G. White, the SDA prophet! Of course even one according to the Bible is enough to warrant labeling her a false prophet and being stoned to death back in the days of Moses, but they have listed 40 of them. I only pulled out some of the most famous false prophecies she's had. This statement was made at a 1856 meeting and every one present are now long dead, including Ellen herself in 1915. Obviously, this was a FALSE prophecy. And if this is prophecy she got from the angel is false just what kind of angel was she talking to? "Thousands have been induced to enlist with the understanding that this war is to exterminate slavery, but now that they are fixed, they find that they have been deceived, that the object of this war is not to abolish slavery, but to preserve it" Vol. 1, pp. 254, 258). History tells us the US Civil War did indeed abolish slavery. Ellen G White was wrong. "This nation will yet be humbled into the dust. England is studying whether it is best to take advantage of the present weak condition of our nation and venture to make war on her...When England does declare war, all nations will have one interest of their own to serve, and there will be general war, general confusion"(Vol.1 p.259). History showed that England not only did not enter the US Civil War but that it had no desire to get involved in any way. In the year 1850 Bible scholars were teaching of the return of the Jews to Palestine and the restoration of Jerusalem. Here is what Mrs. White said about this: "I also saw that old Jerusalem would never be built up, and that Satan was doing the utmost to lead the minds of the children of the Lord into these things now in the gathering time, to keep them from throwing their interests into the work of the Lord and to cause them to neglect the necessary preparation"(E.W.,p.75). This is obviously a false prediction, as today on Google earth we can see Old Jerusalem completely rebuilt. Adventist boast 18 million members worldwide in 2013. It is certainly a sad thing when one person can lead so many astray, by claiming to have visions from God. Ellen G White is definitely a false prophet for she meets 5 out of the 7 indicators. However people are leaving as they start seeing the truth. Here is a List of 100 SDA Pastors fired for rejecting White as prophet! If you are one of them I want you to learn, as I have, that belief in Jesus is all you need. No amount of good works is good enough to keep you saved, despite what Ellen G White and the churches claim. The Bible is very clear about that. Jesus is about ceasing to our own striving to get to Heaven and getting to Heaven based solely on what Jesus has done alone. That is the good news, no more endless working to get to Heaven. Simply rest in Jesus and He will get you there. You can start by believing in not an angel, but the divine Jesus of the Bible.